The CAPP Certification Board is pleased to announce the 2019 slate for the CAPP Certification Board. For the 2019 elections, there is one (1) open seat on the CAPP Board for a three-year term beginning June 2019. The role of the CAPP Board is to provide oversight and strategic direction for the CAPP Program of IPMI. The CAPP Certification Board is responsible for maintaining an up-to-date body of knowledge, establishing a benchmark of excellence for the industry, and providing a means by which parking and transportation professionals may demonstrate their proficiency and competency and be recognized by their peers, employers, regulatory agencies, customers, and the public. Current, active CAPPs vote for CAPP Certification Board, as detailed in the email received from IPMI. Please take a moment to review the candidate biographies and platforms. There are 5 candidates in this year’s election for one (1) available seat. Candidates are listed randomly on the ballot; please vote for your top choice. To vote, go to vote.associationvoting.com/cappboard. Enter your email address and your member ID number as provided in the email you received to cast your confidential vote. Once you’ve entered your vote, click the “Preview Ballot Selections” button, then click the “Cast My Ballot” button to record your vote to be tabulated by AssociationVoting. Online voting must be completed no later than 11:59 p.m. EDT, Wednesday, April 17, 2019. 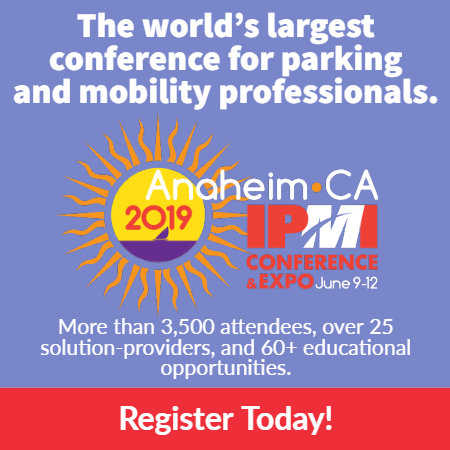 If you have any questions, please contact IPMI at 571.699.3011 or miller@parking-mobility.org.